Do you find yourself asking, "Where is there a new Lincoln dealer near me in Maple Shade, NJ, that also offers pre-owned vehicles?" The answer is Holman Lincoln Maple Shade, also serving Cherry Hill and Mt. Laurel. Our inventory houses approximately 100 new Lincoln models and more than 500 pre-owned vehicles. Whether you choose to lease or finance your vehicle, our Finance Center professionals are readily available to offer clear guidance that illustrates the benefits available to you. Their contacts and relationships with local and national lenders lets them find the lowest possible interest rates for you, which they apply to a customized payment plan. For continued vehicle service, our Lincoln Service Center is also onsite to perform your vehicle's needed routine maintenance, install genuine OEM Lincoln parts and cater to larger repairs and projects at our Collision Center. As a member of the Holman Automotive Group, Holman Lincoln Maple Shade fosters a comfortable environment where both our customers and employees feel confident and at ease. Experience the Holman culture for yourself by visiting our location at 571 West Route 38, Maple Shade, NJ 08052, or by calling us at (888) 476-3114. For prospective drivers considering purchasing a new Lincoln, explore the inventory at Holman Lincoln Maple Shade in Maple Shade, NJ - serving Cherry Hill and Mt. Laurel - which has approximately 100 new Lincoln models. Our sedan lineup includes the classic Lincoln Continental, as well as the Lincoln MKZ, which has available ultra-efficient hybrid capabilities. The Lincoln MKT offers a spacious interior for extra cargo room, while the Lincoln Navigator takes the award for most passenger capacity, thanks to comfortable seating that can hold up to eight passengers. Our inventory of Lincoln Nautilus and Lincoln MKC models are economical crossovers that exude luxury while offering the practicality that's made them driver favorites. 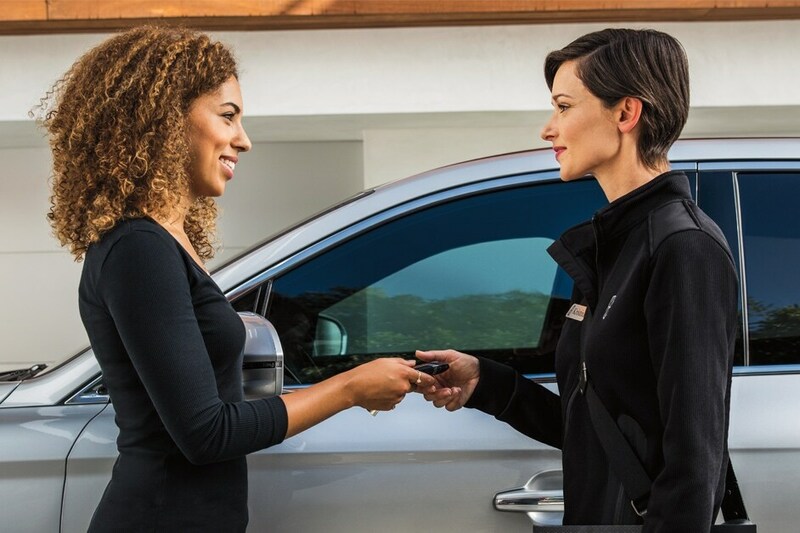 With guidance from our Finance Center experts and regular purchasing specials, leasing or financing a new Lincoln model is a quick and simple process that gives drivers immediate rewards. Choose from our hand-selected inventory of certified pre-owned Lincoln models, and feel confident in your vehicle's reliability. Certified pre-owned vehicles are those that have undergone and passed a series of standards testing that ensures their adherence to specific vehicle safety and design standards. Along with the quality guarantee that comes with each of our certified pre-owned models, we offer each of their CARFAX® Vehicle History Reports for a transparent buying process. The pre-owned vehicle inventory at Holman Lincoln Maple Shade is fully stocked with more than 500 cars, including Lincoln models and cars, trucks, and SUVs from other trusted and reliable manufacturers. With the help of our Finance Center professionals, customers can procure vehicle financing options at a price that works around their budget. With select vehicles priced below $15,000, buyers can leave our lot behind the wheel of a quality ride with low-interest payments. Purchasing your luxury Lincoln model is a decision that deserves thorough research and in-depth consultation with our Finance Center professionals. Our team has proudly curated a lengthy list of local and national lenders who they maintain positive relationships with, letting them negotiate low interest rates on new and used vehicle finance payments. Get started today by filling out our online pre-credit approval application to get a feel for where you stand. For impeccable Lincoln service and repairs and Genuine Lincoln parts in Maple Shade, NJ - serving Cherry Hill and Mt. Laurel - visit the Service Department at Holman Lincoln Maple Shade. Lengthening your Lincoln's road time and maintaining its condition is made simple with the Holman Lincoln Maple Shade Service Center. With individualized attention and care, our technicians perform the full spectrum of necessary routine maintenance services and offer flexible business hours. For large repairs, our location offers an on-site, state-of-the-art Collision Center, as well as our massive collection of genuine OEM Lincoln parts, which we'll happily install for you. For at-home repairs and tinkering, our system of online ordering offers a convenient, efficient way to have your vehicle parts delivered at your doorstep. At Holman Lincoln Maple Shade, we're committed to not only helping you find the vehicle you've been seeking, but to developing a relationship with you through honest vehicle financing and continued attention from our Service Department. To begin your Holman Lincoln Maple Shade experience, schedule a test drive by calling (888) 476-3114, or visit us at 571 West Route 38, Maple Shade, NJ 08052.